Out of all the dental supplies and products that you purchase which is the most expensive and most frequently purchased item? 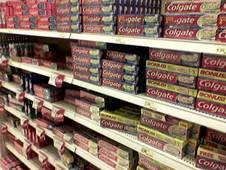 Which supplier of dental products offers the best customer service? In a slow economy how do you save your dental practice money on dental supplies? Out of all the dental supplies and products that you purchase which is the most expensive and most frequently purchased item? How does your buying habits affect the patient in your dental chair? Copyright © 2008 dental-products.com . All Rights Reserved.